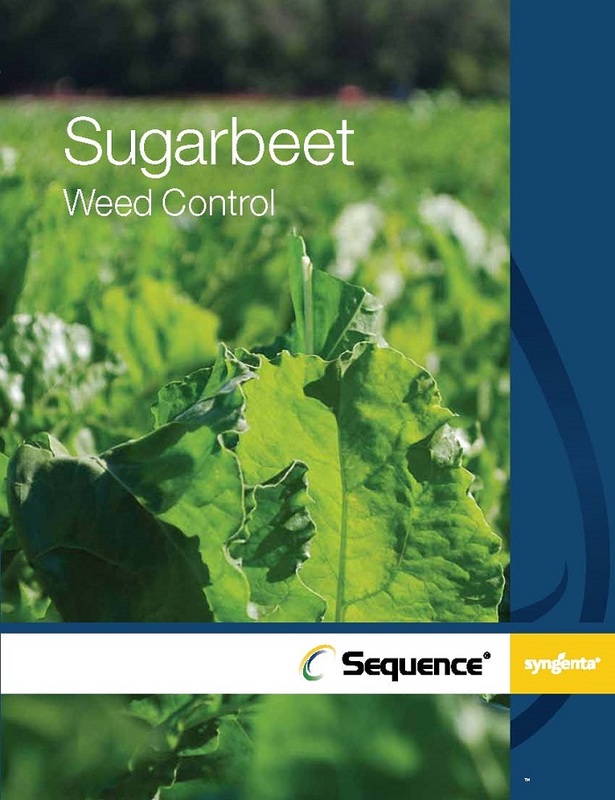 Sequence® herbicide combines contact and residual activity for reliable weed management in many crops including soybeans, cotton, peanuts and sugarbeets. Sequence provides weed resistance management benefits through 2 effective sites of action. It delivers effective knockdown of existing weeds and residual control of troublesome weeds, such as pigweed, crabgrass and annual grass. With flexible application timing, Sequence is a time-saving tool for your weed management program. Sequence is one of several Syngenta herbicide tank-mix options available for inclusion with XtendiMax® with VaporGrip® Technology, Engenia® herbicide and FeXapan™ herbicide Plus VaporGrip Technology. Tank mixing with dicamba provides you with additional weed management options and resistance management benefits. 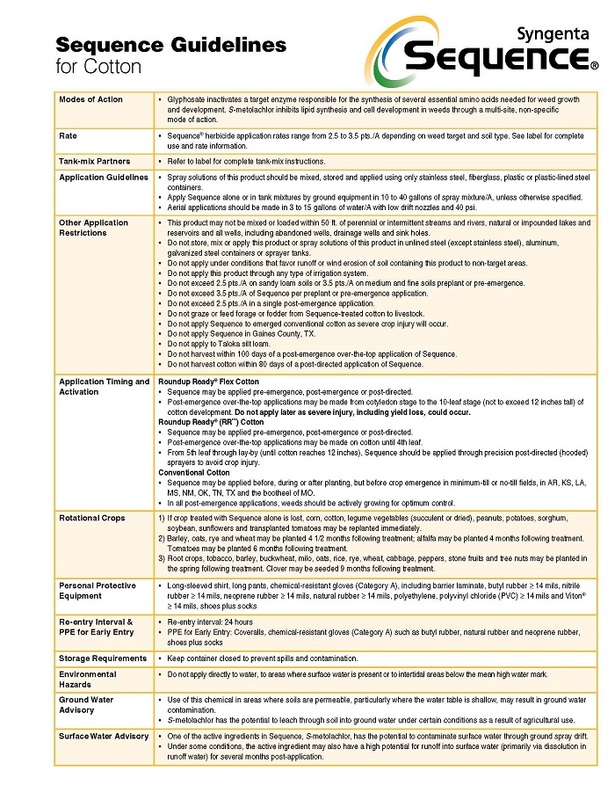 Please visit the XtendiMax application requirements, Engenia tank mix and FeXapan tank mix pages for approved drift reduction agents. Sequence® and the Syngenta logo are registered trademarks of a Syngenta Group Company. Third party trademarks are the property of their respective owners.